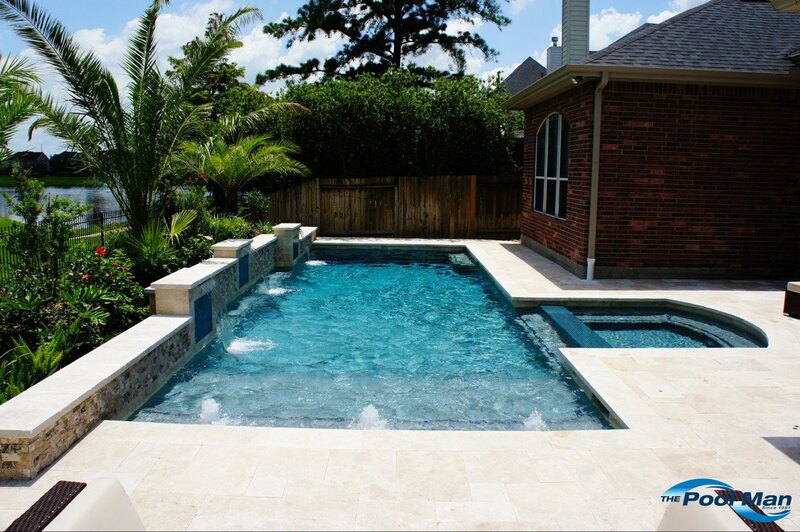 Swimming Pools | The Pool Man Inc. 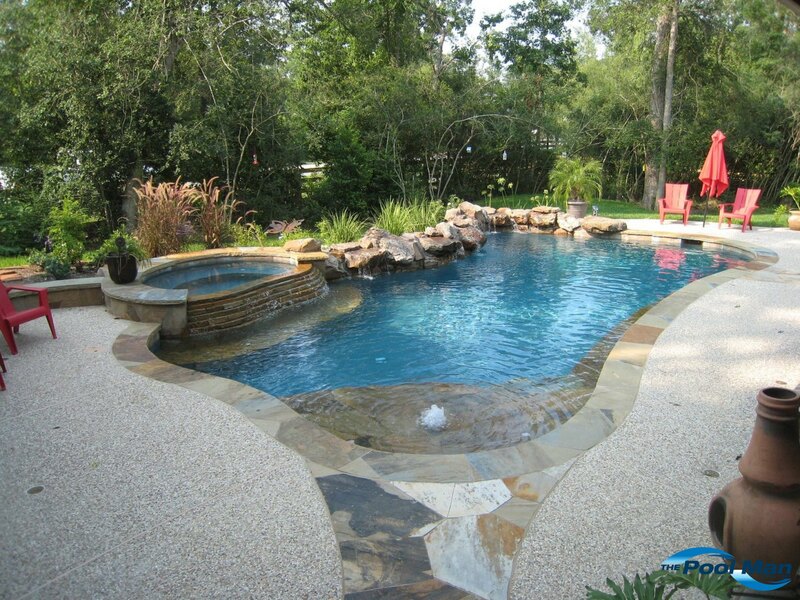 The Pool Man builds swimming pools people enjoy rather than maintain. 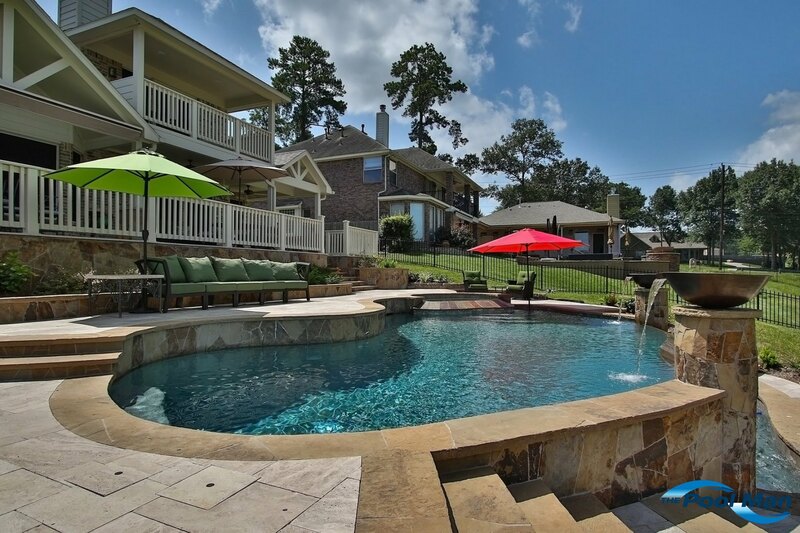 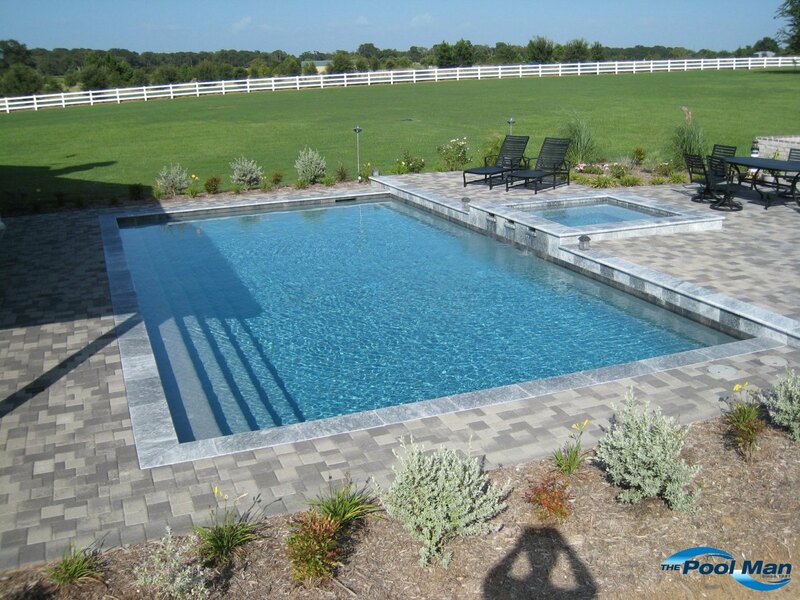 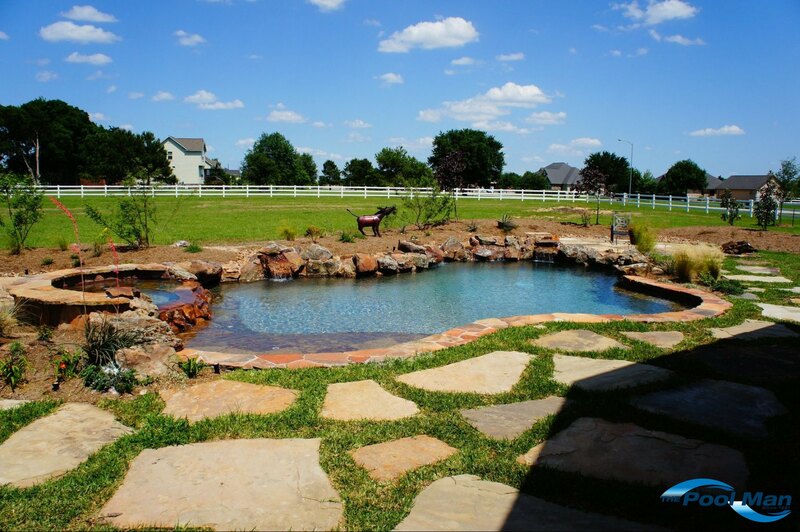 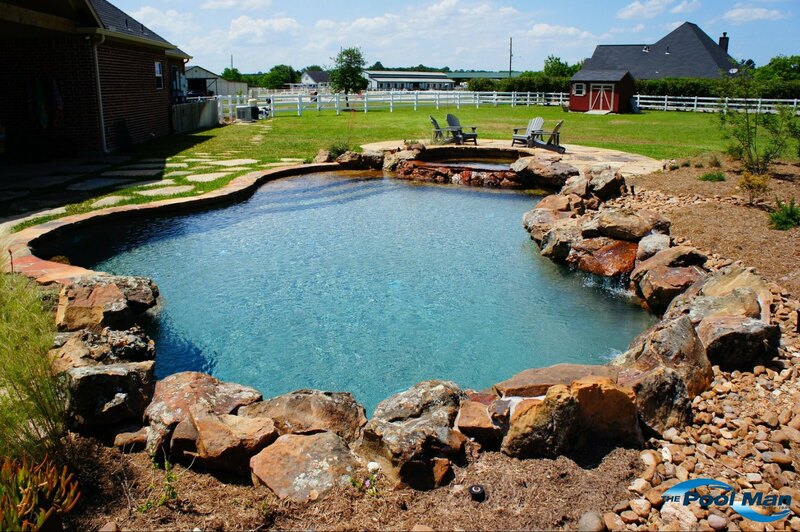 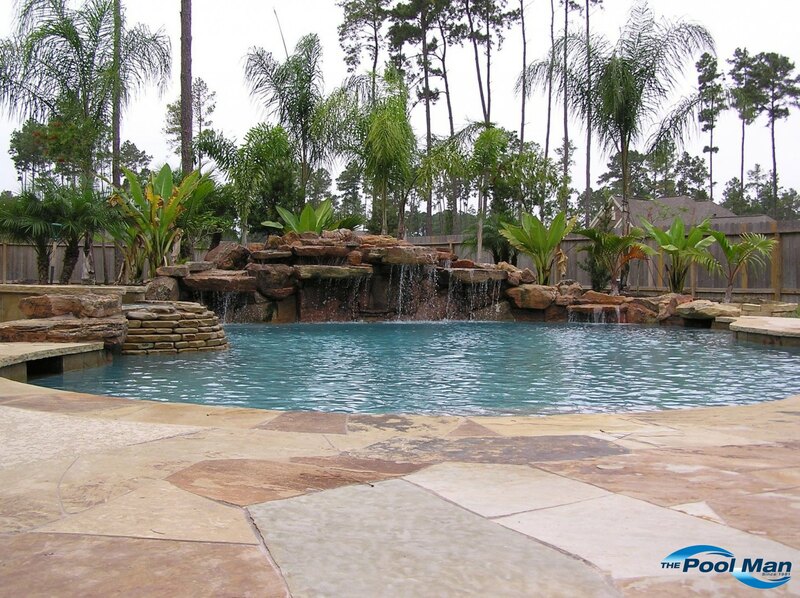 We focus on the extras that make your pool less work and more play! 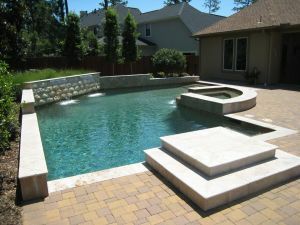 When we build a swimming pool, we build it right the first time, with hydraulics, maintenance and safety in mind, and special items included as standard. 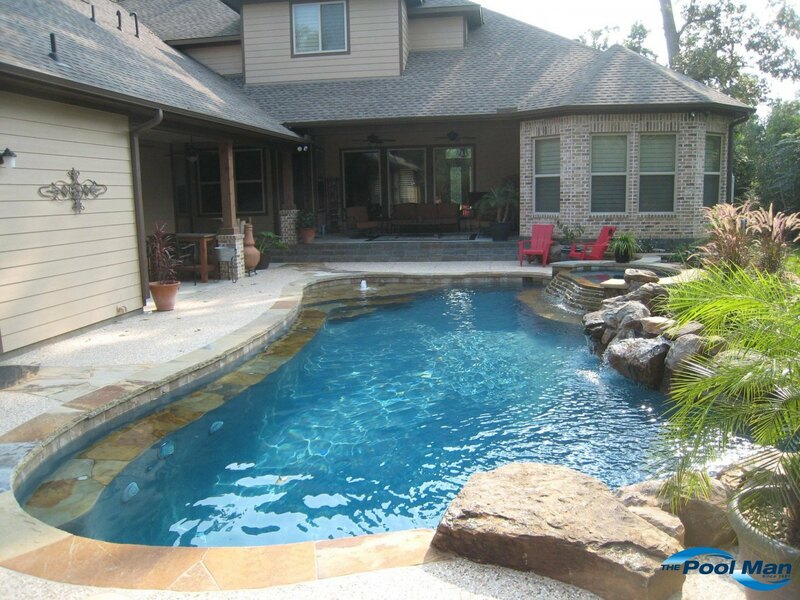 We understand your Swimming Pool is an investment, and one that should add lasting value to your lifestyle and your property. 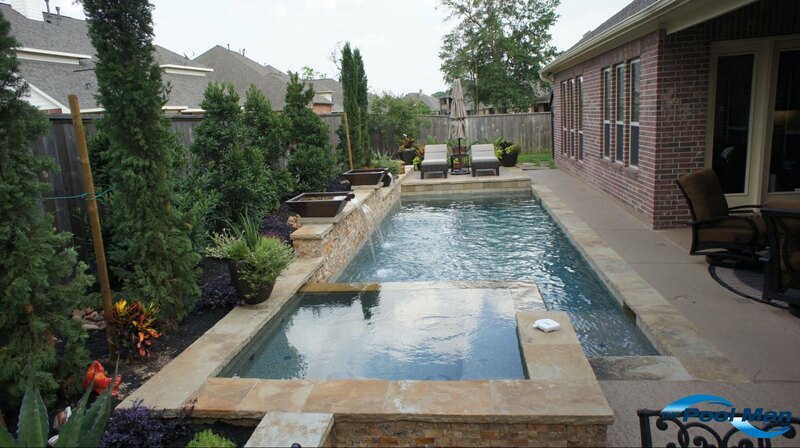 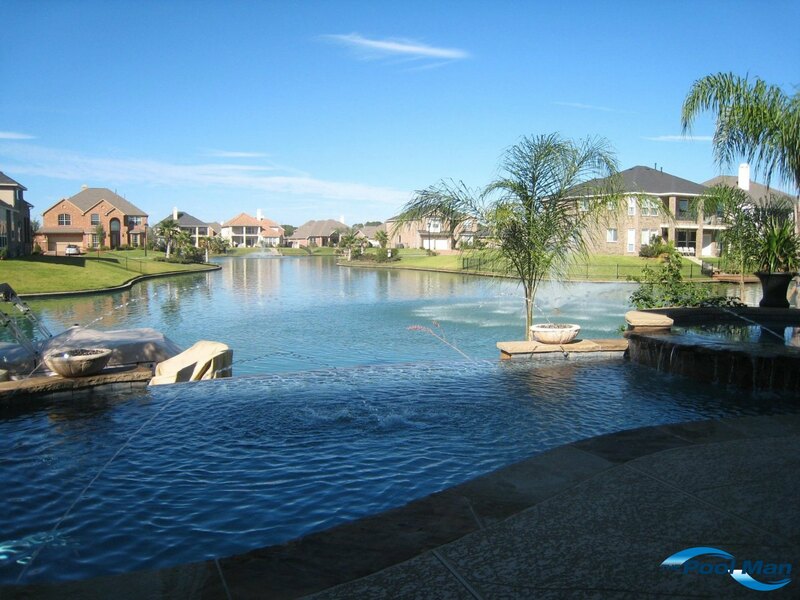 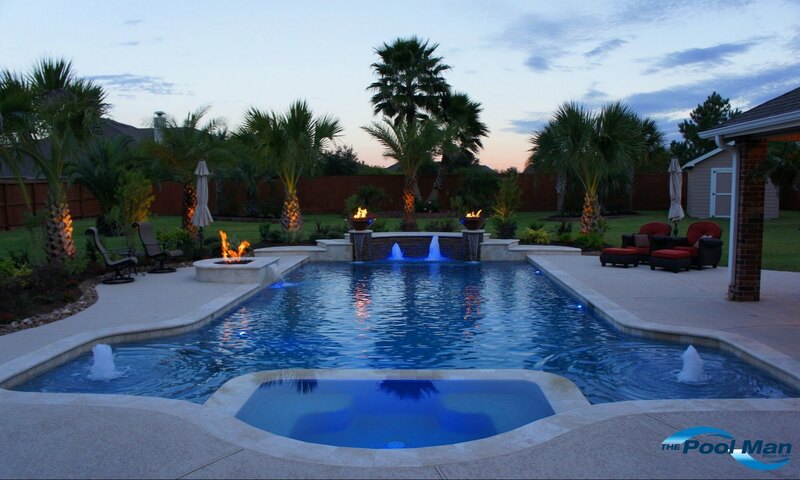 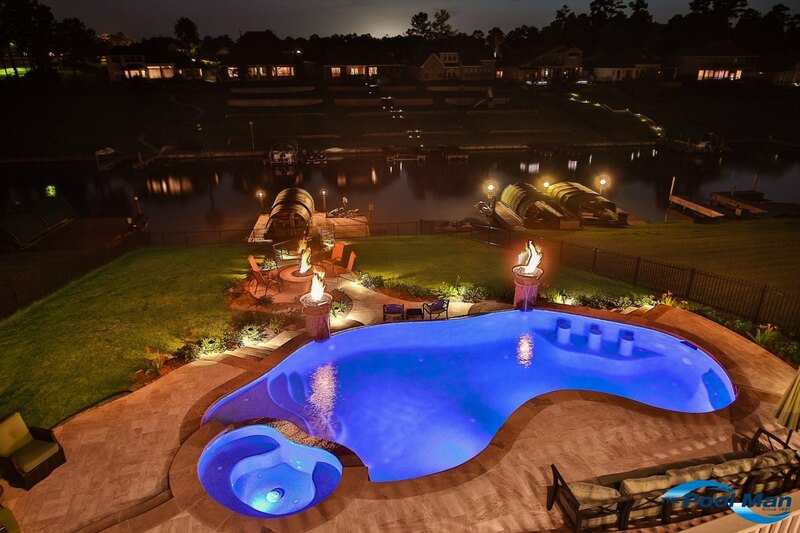 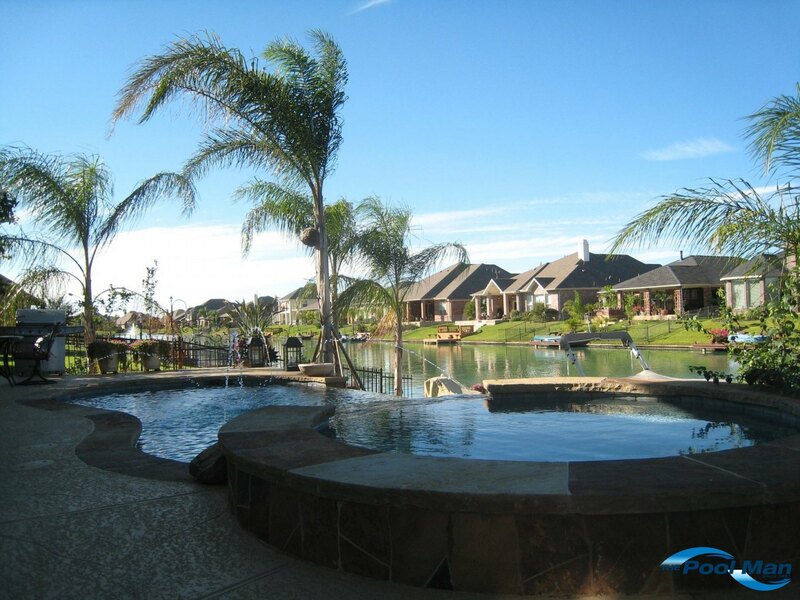 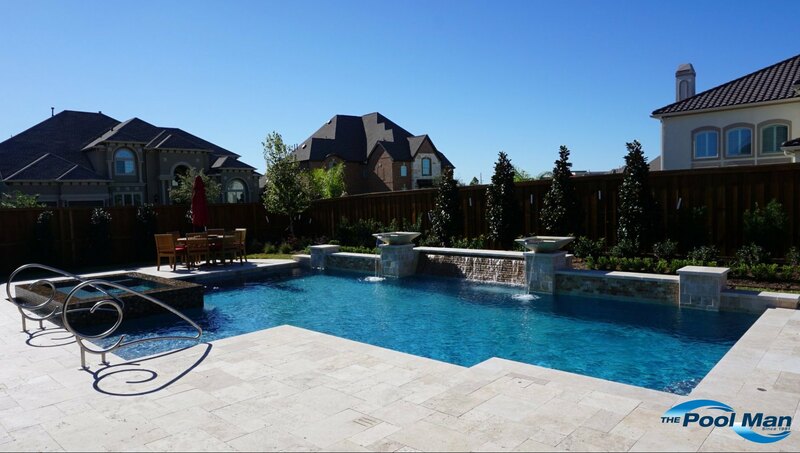 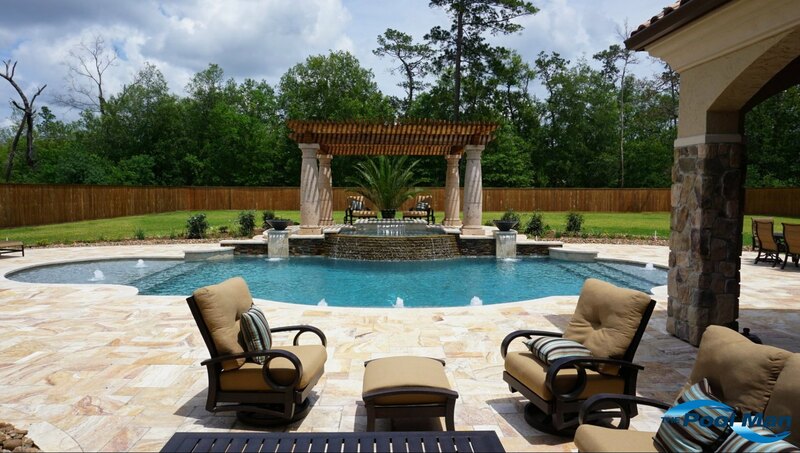 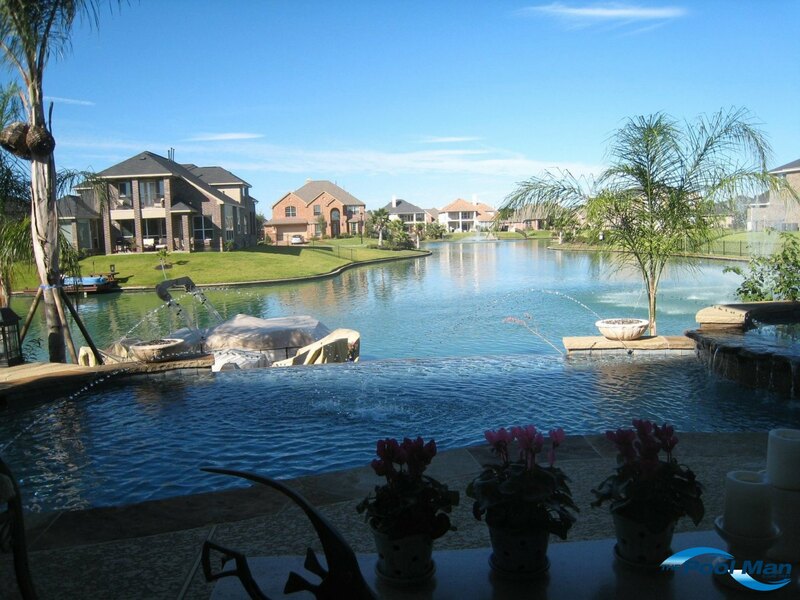 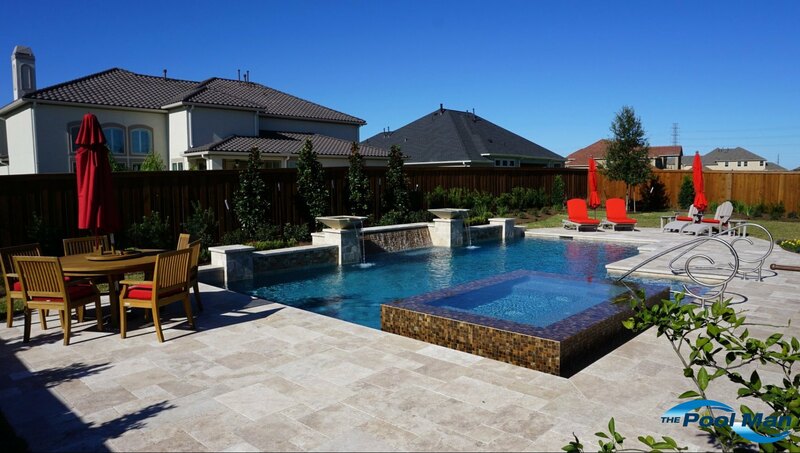 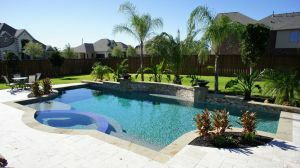 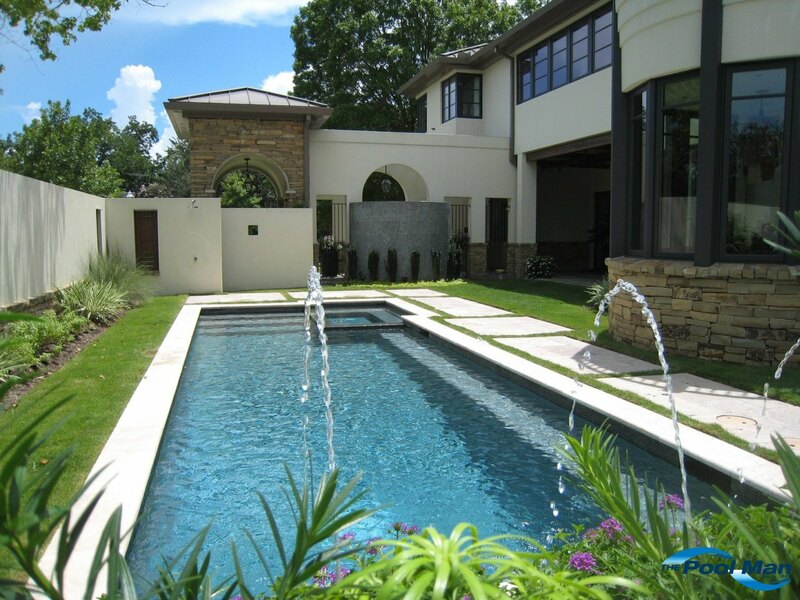 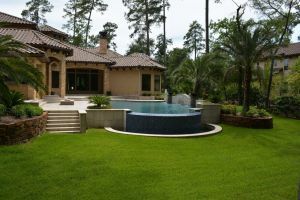 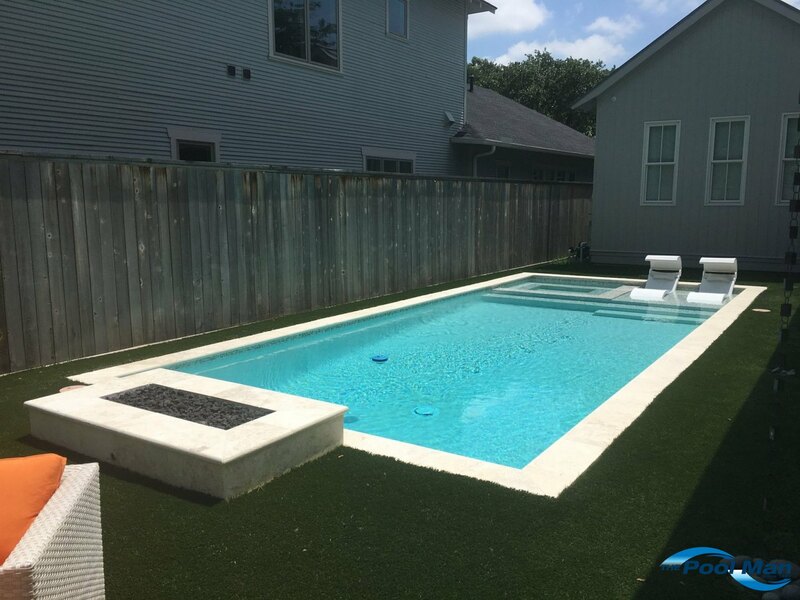 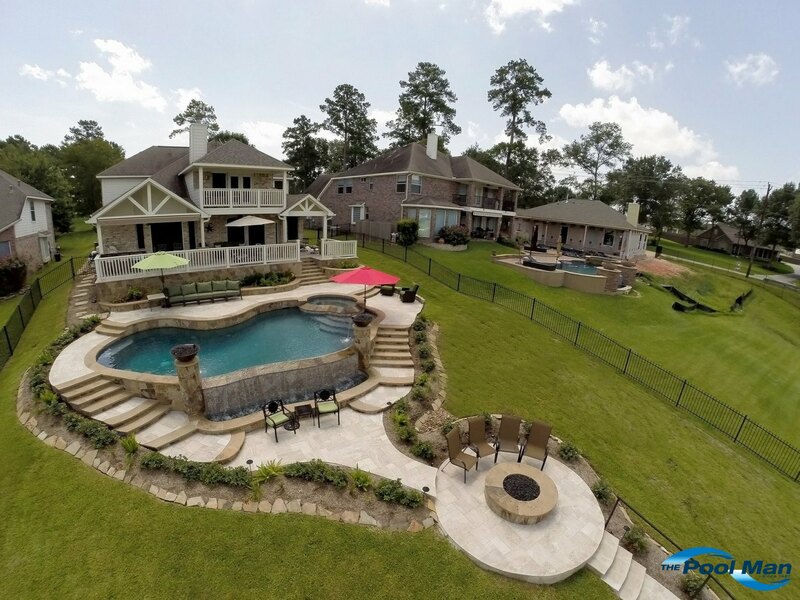 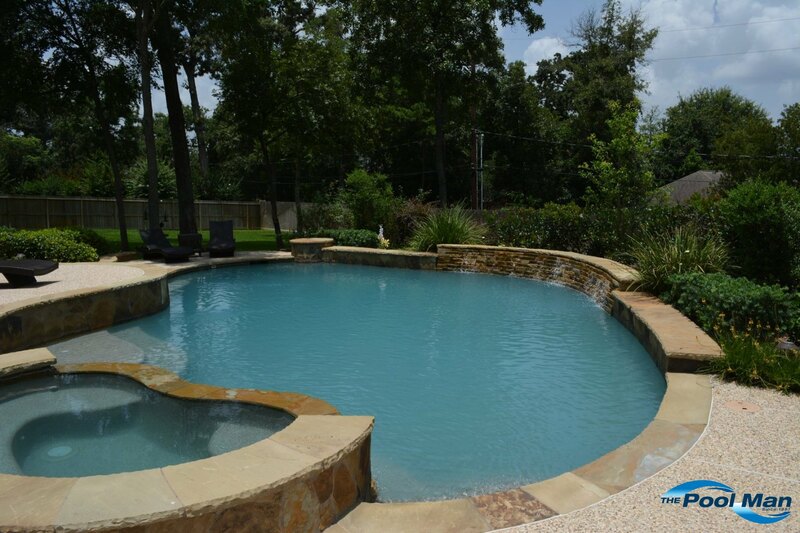 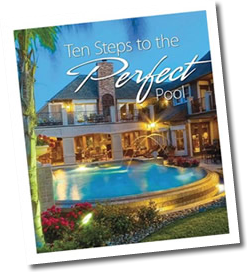 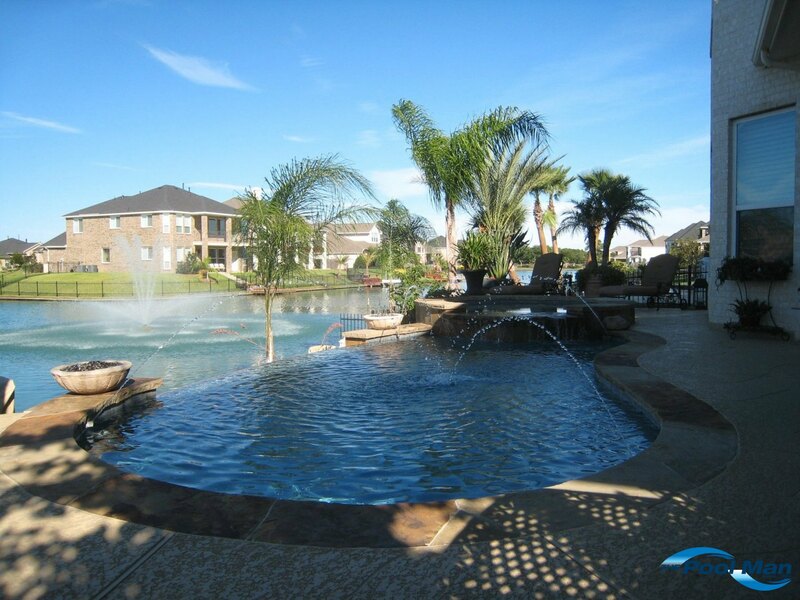 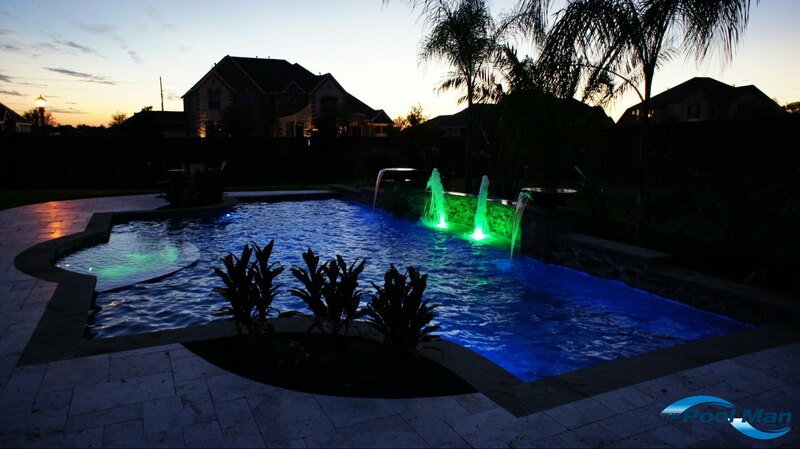 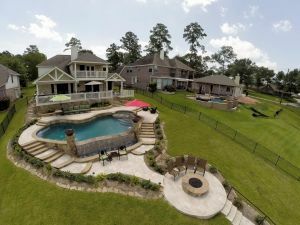 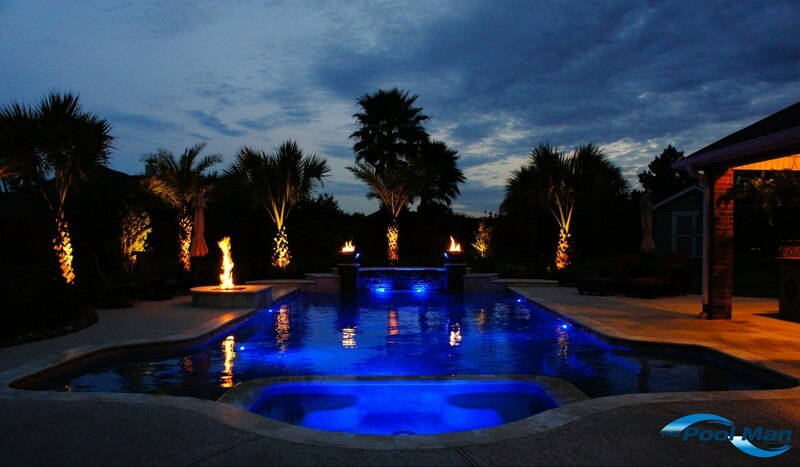 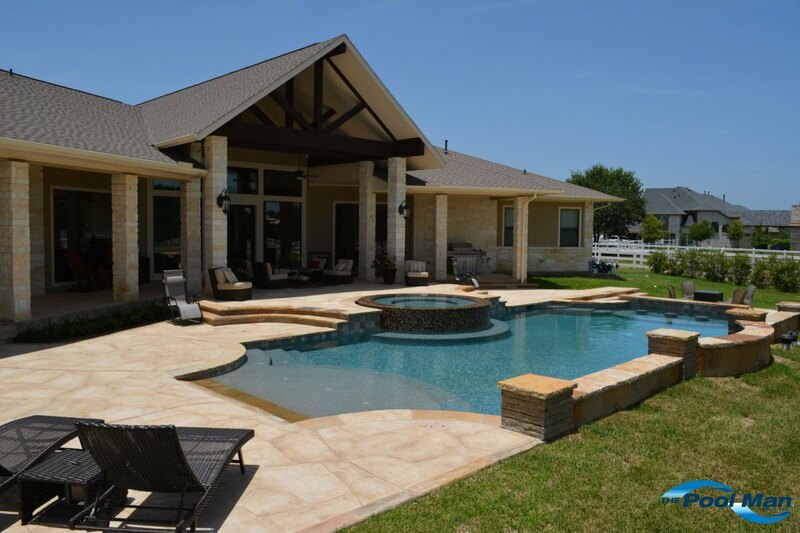 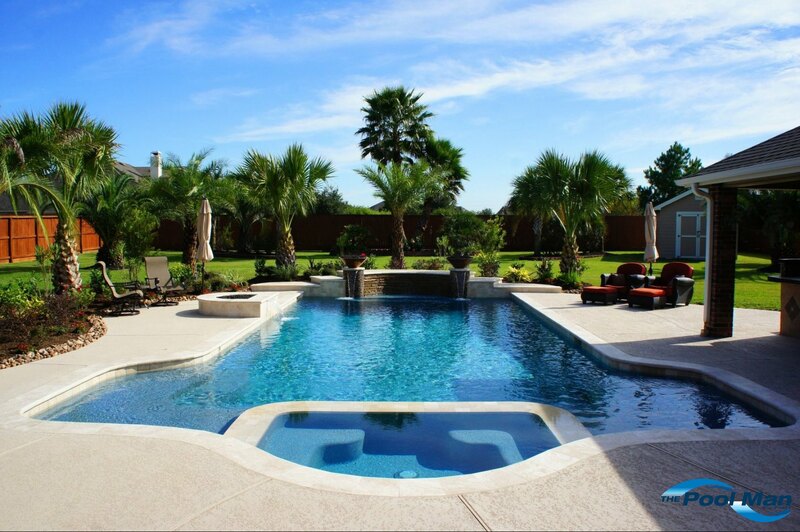 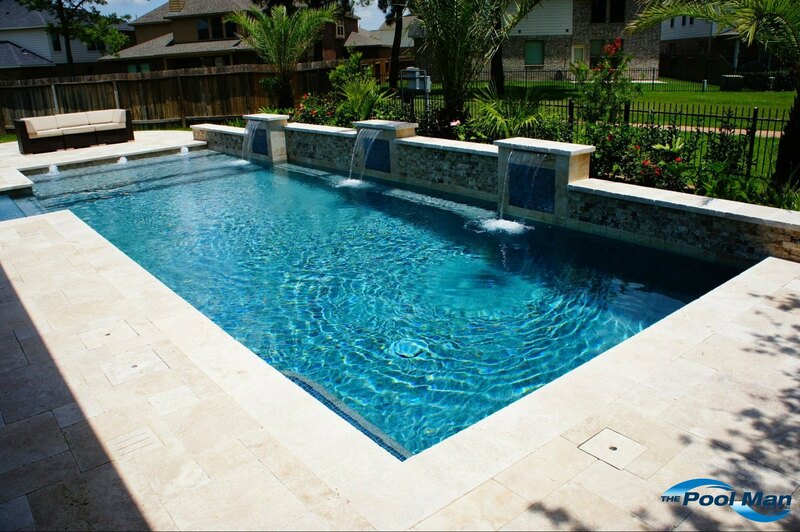 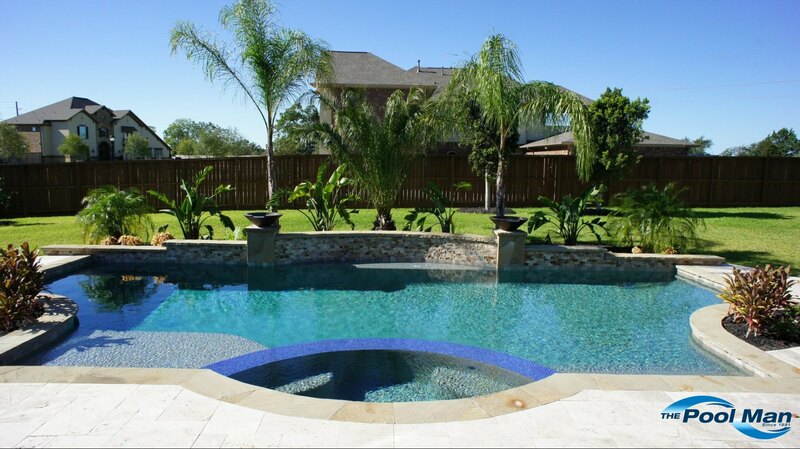 As a Houston builder known for skilled craftsmanship, The Pool Man is dedicated to providing the quality and protection you deserve. We combine the highest quality construction with low maintenance – and it’s all backed by our exclusive POOL PROTECTION PLUS limited warranty. 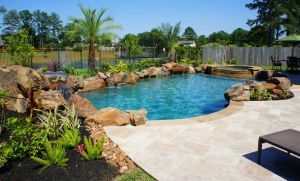 Our dedicated crew has experience with every type of pool and terrain and can advise you on the best liquid fun for your family and budget. 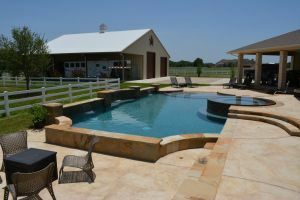 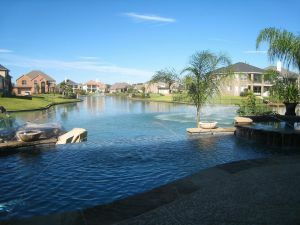 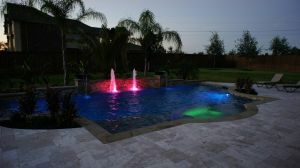 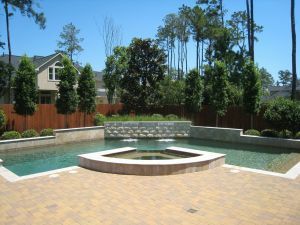 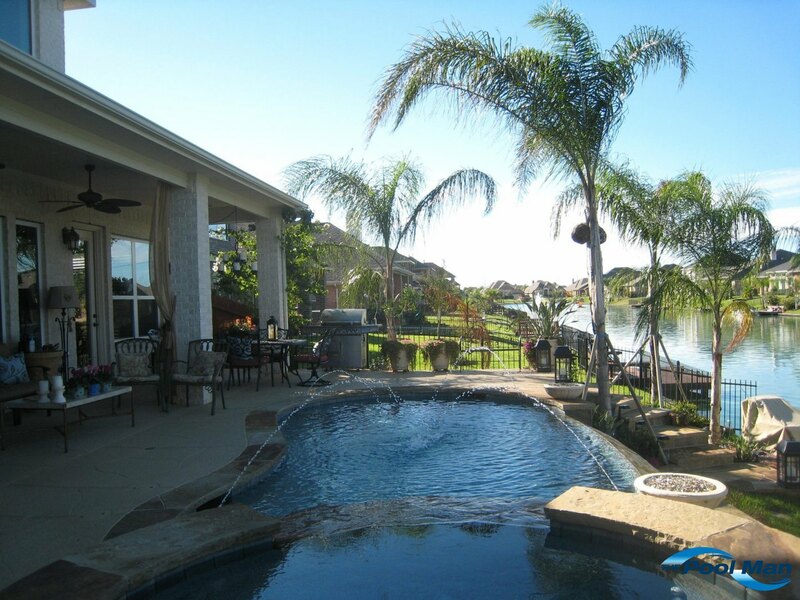 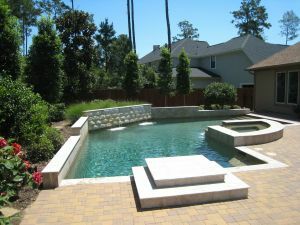 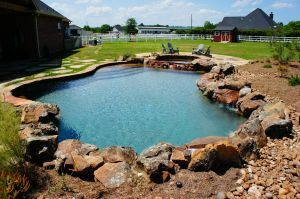 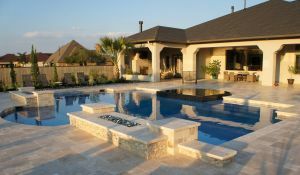 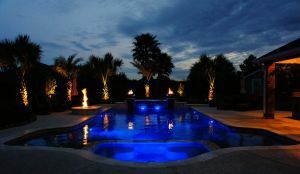 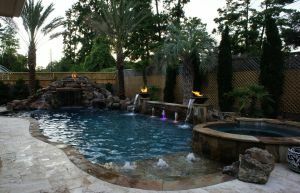 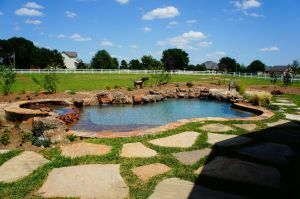 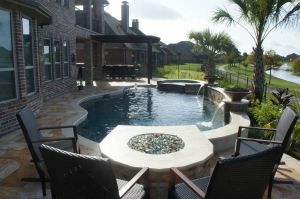 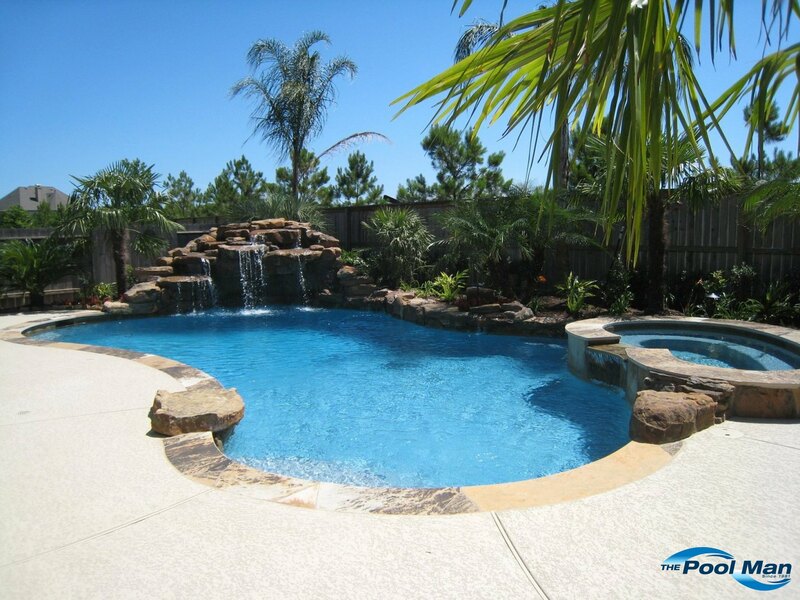 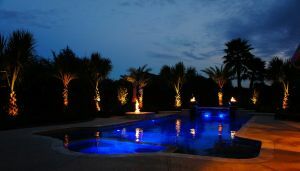 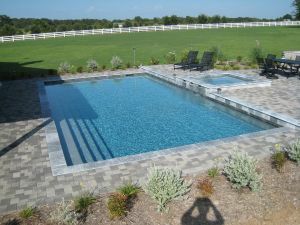 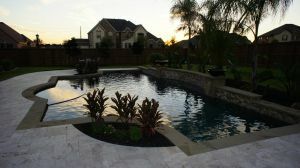 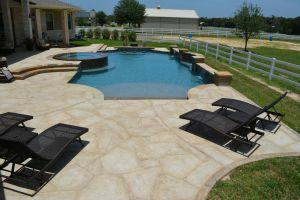 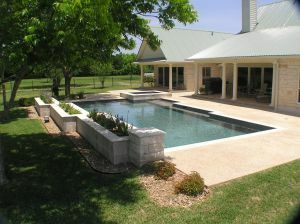 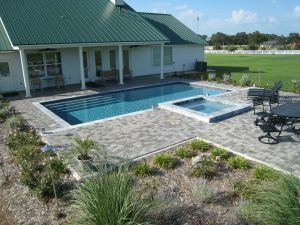 Our team will help you choose a pool that suits your needs and customize it to compliment your home and your lifestyle. We want to be your pool contractor of choice! So, call us today and enjoy the Pool life! 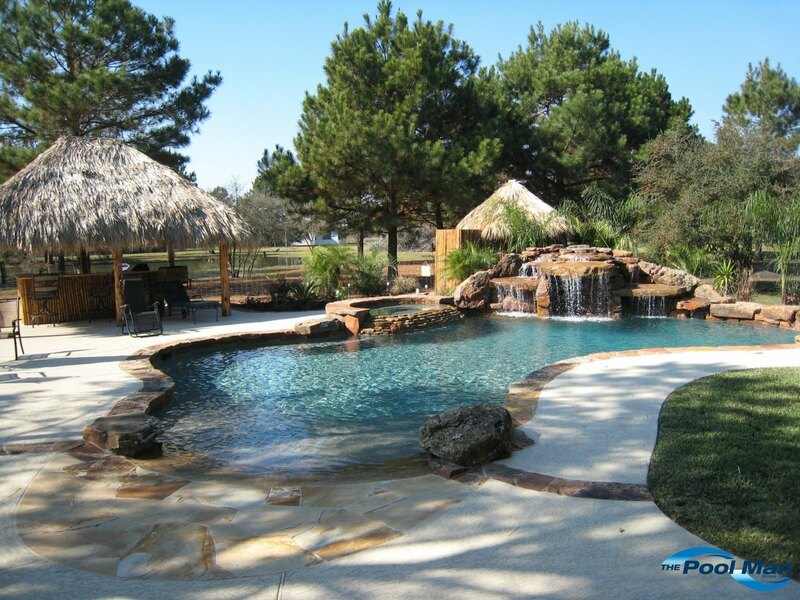 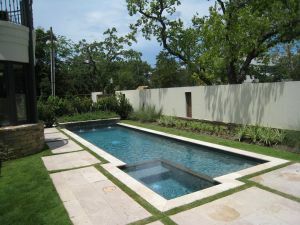 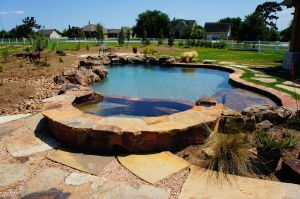 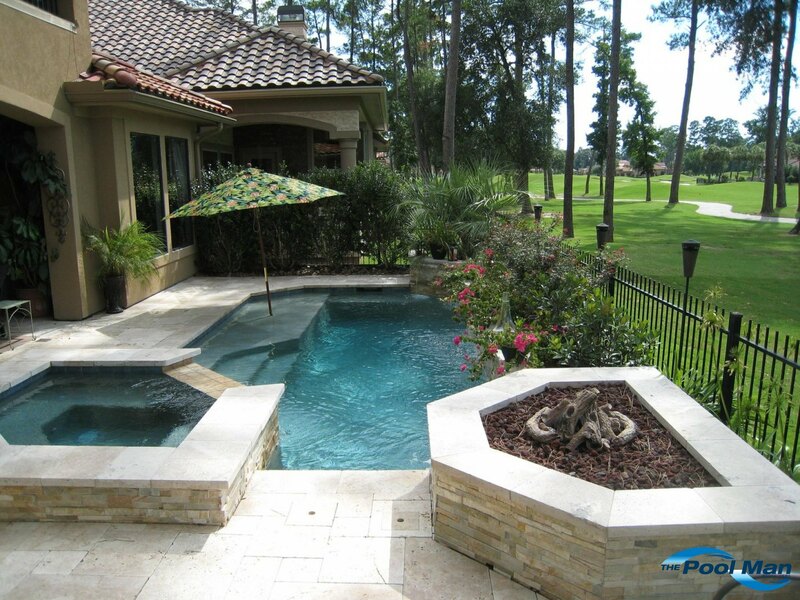 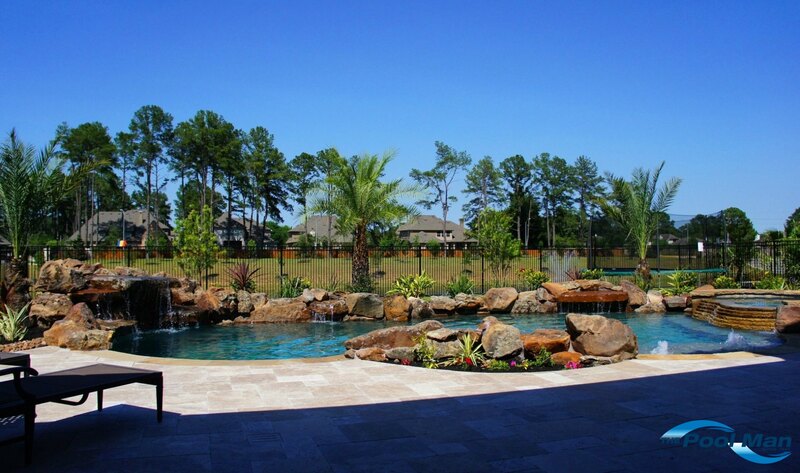 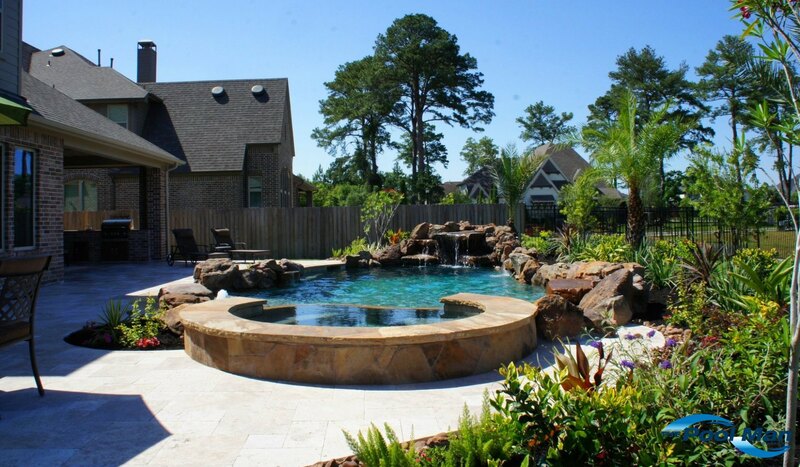 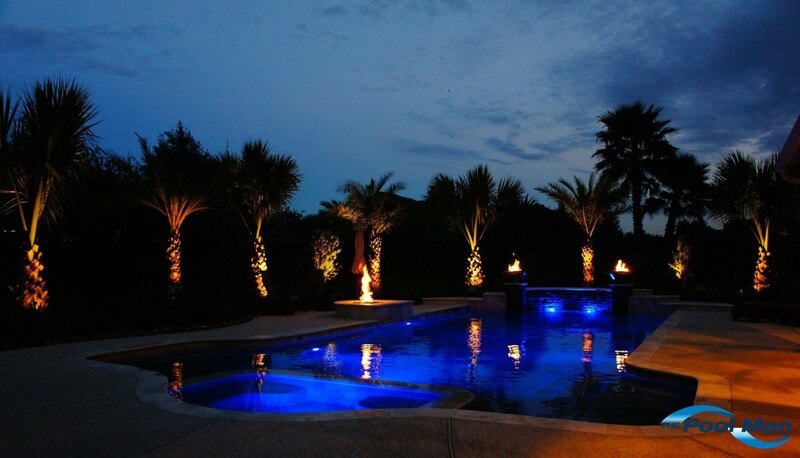 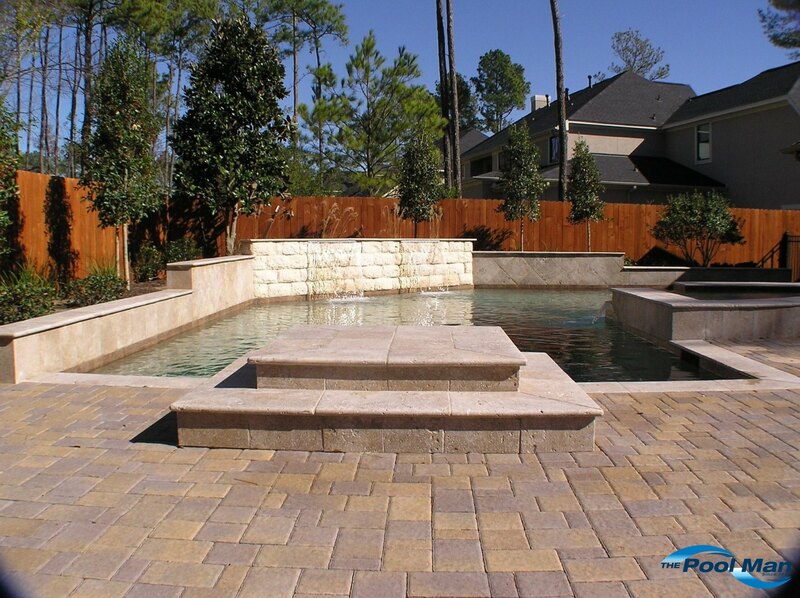 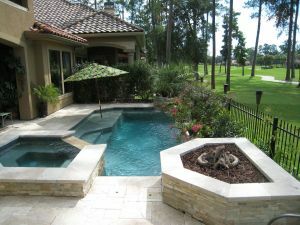 Gunite pools (also known as "Concrete pools") offer the ultimate in personalization and customization. 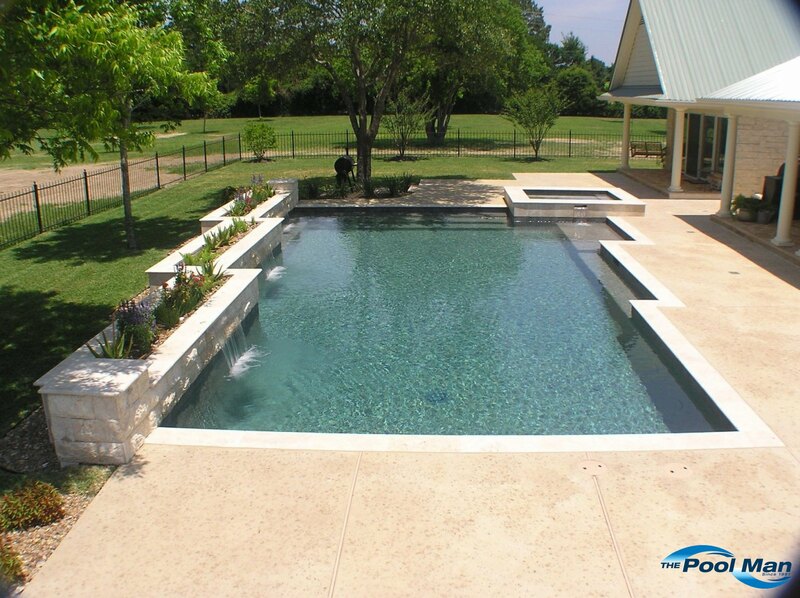 Whether it's Formal or Natural, Vanishing edge or Freeform – anything’s possible with a custom Gunite pool from The Pool Man. 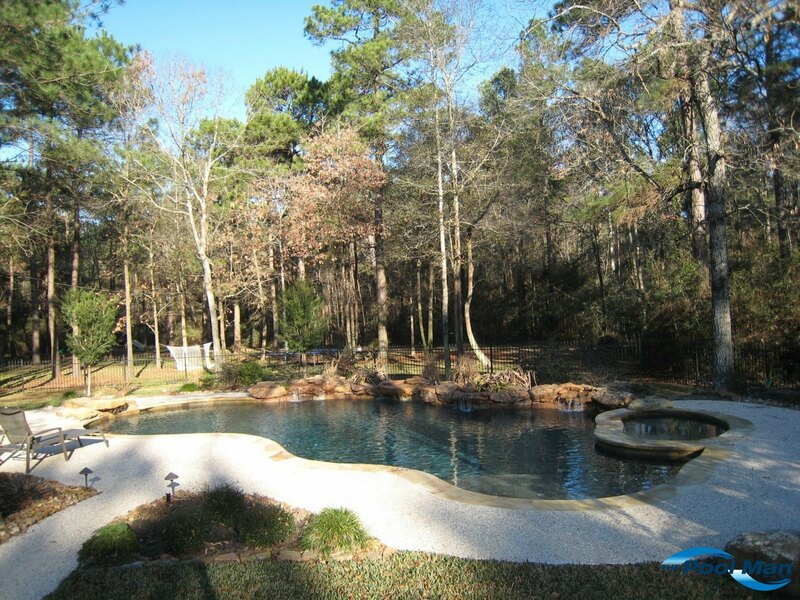 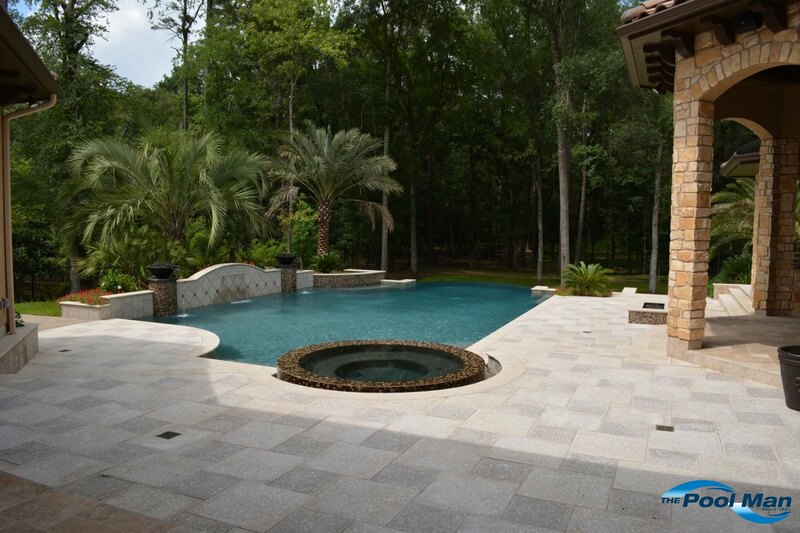 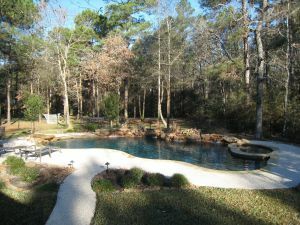 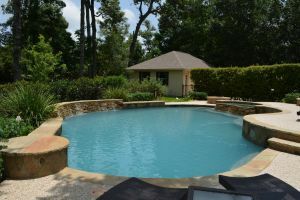 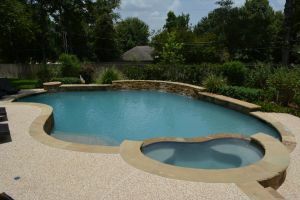 Click on any photo below to see some examples of the custom Gunite pools we’ve built in the last nearly 40 years. 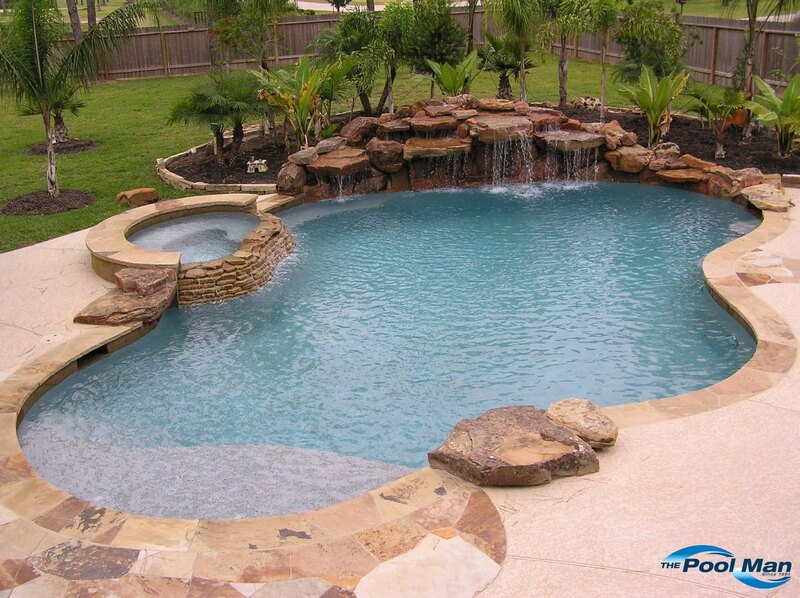 You’re sure to find some new ideas that will be just right for your pool. 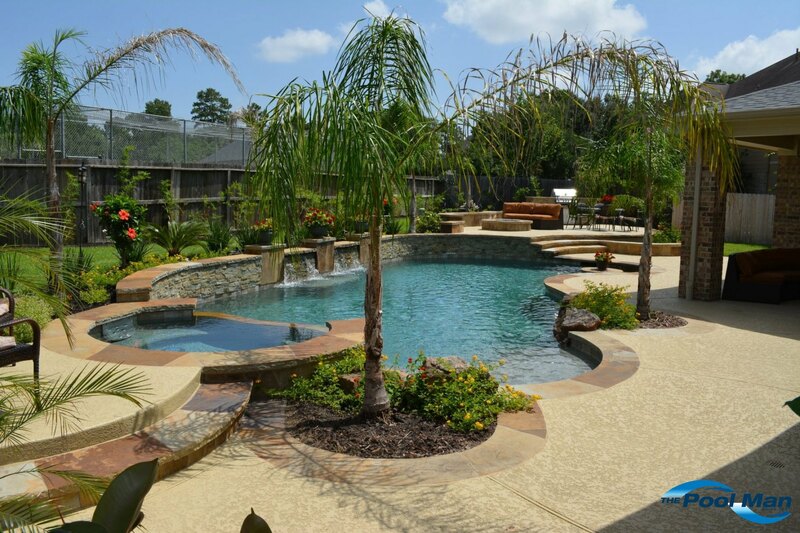 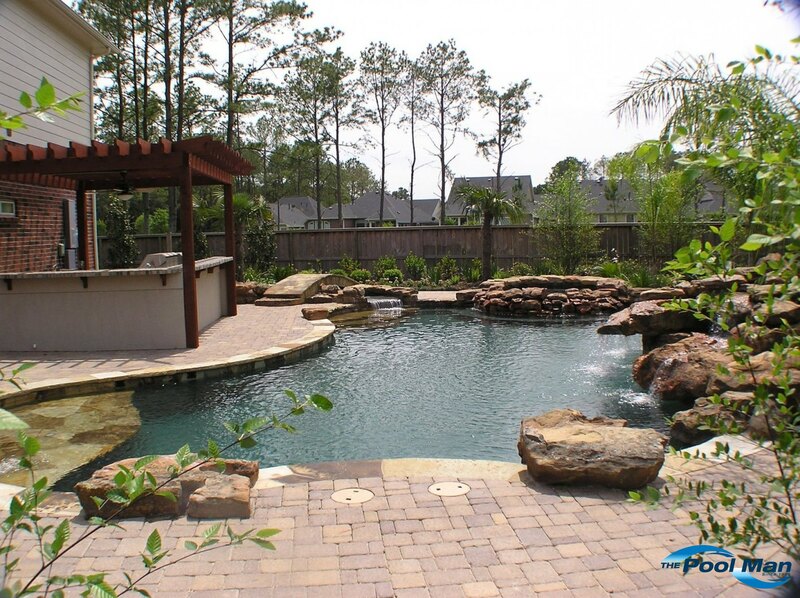 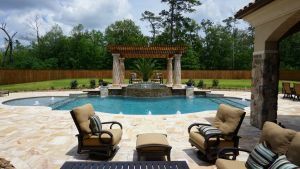 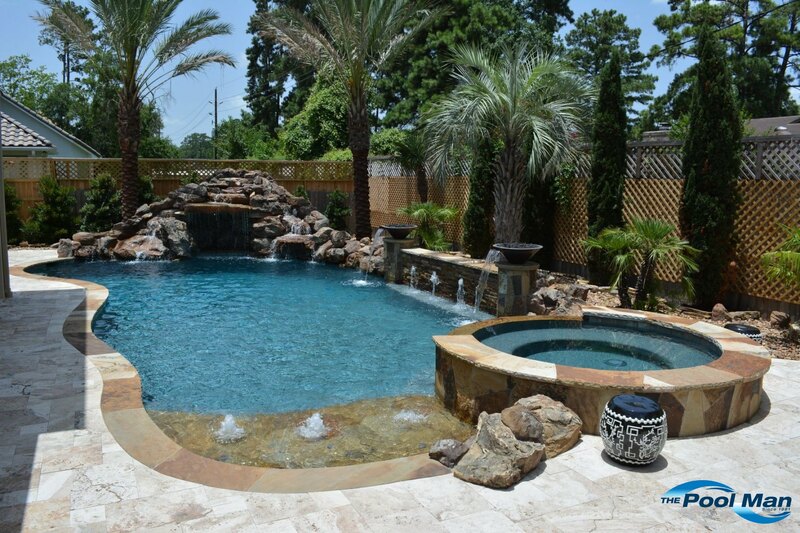 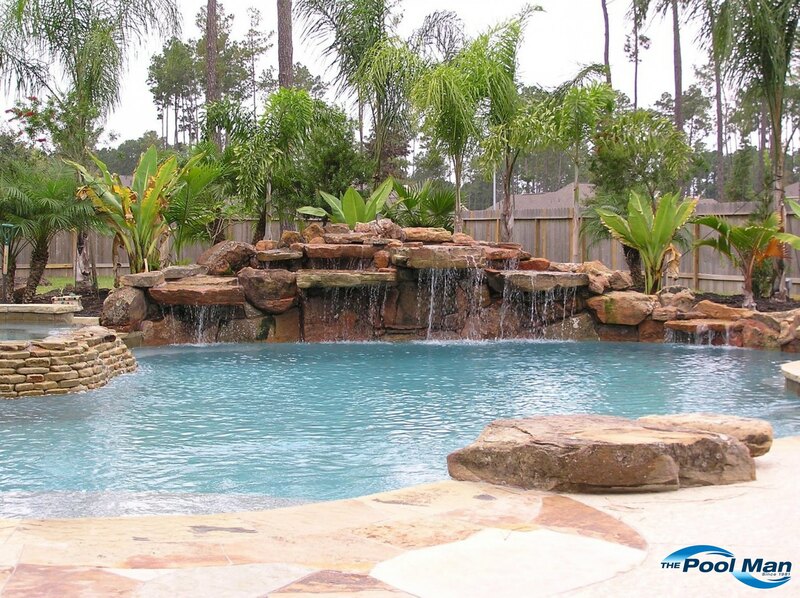 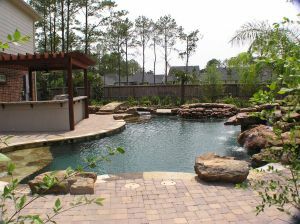 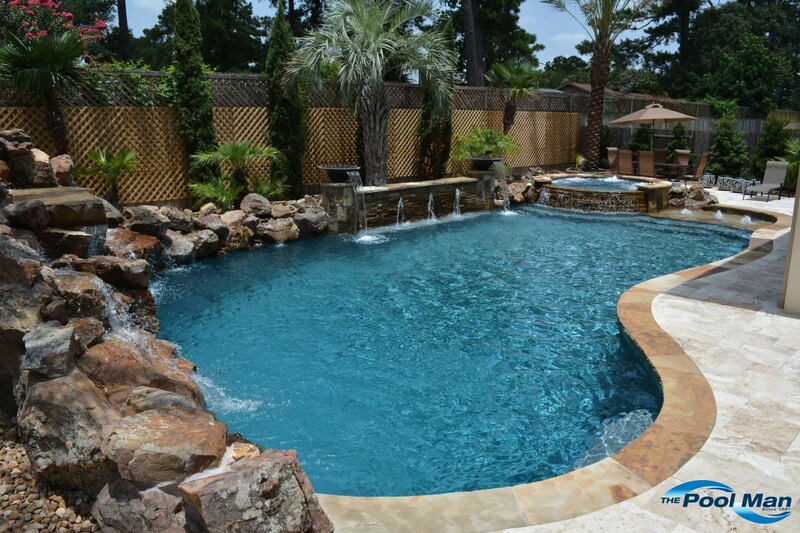 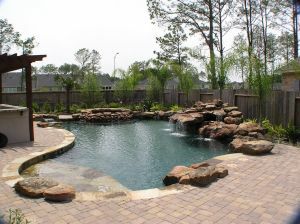 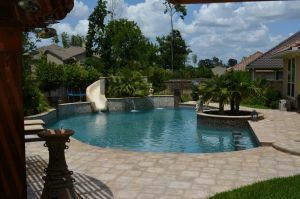 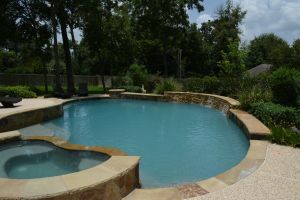 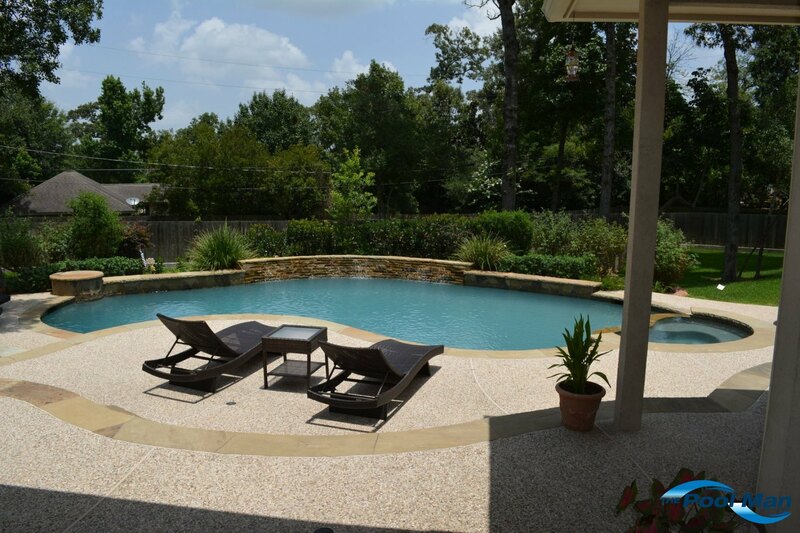 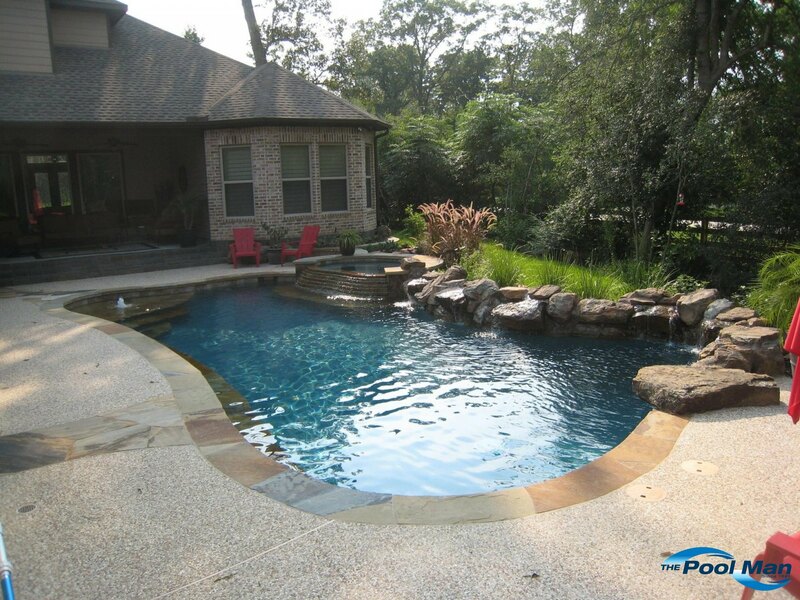 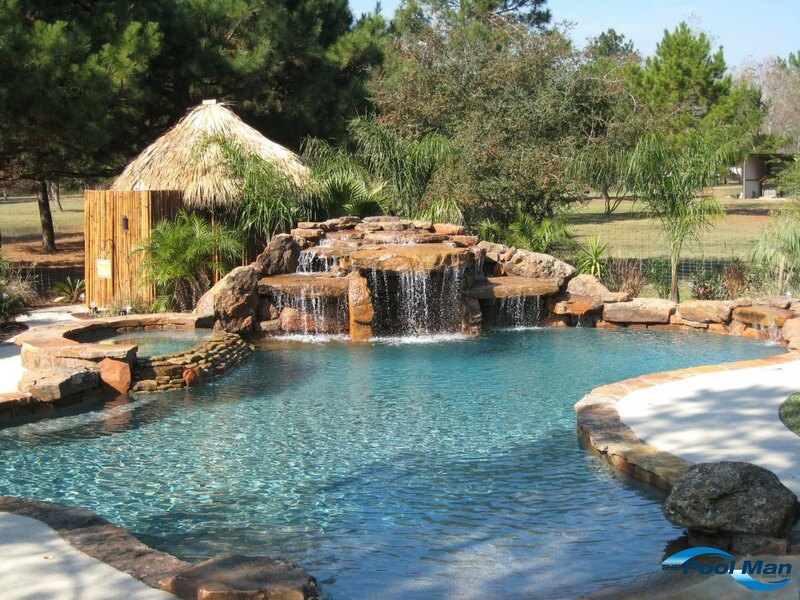 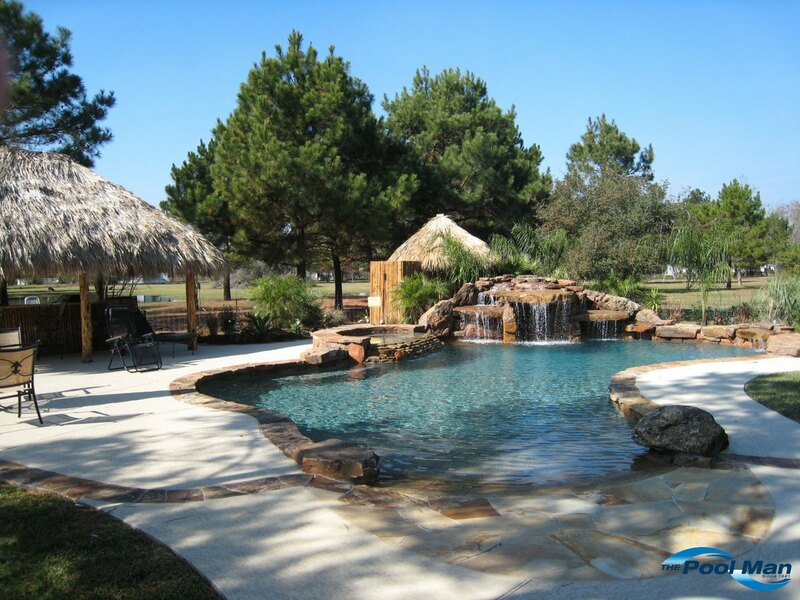 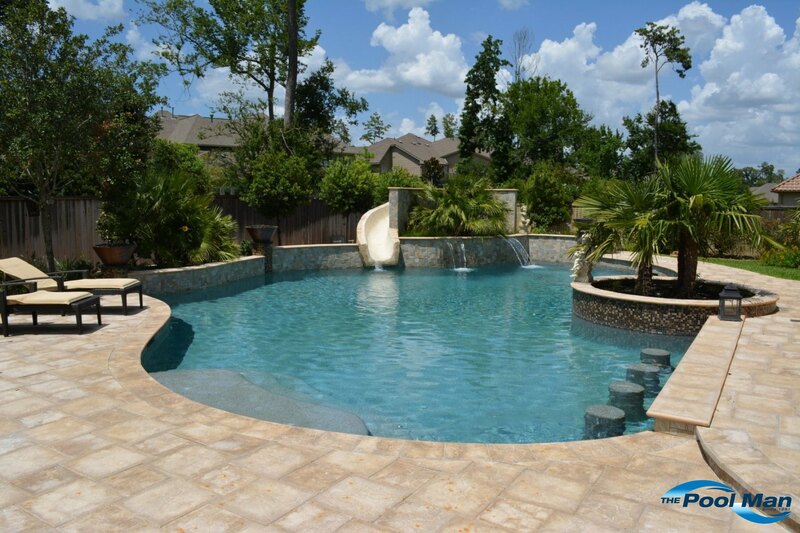 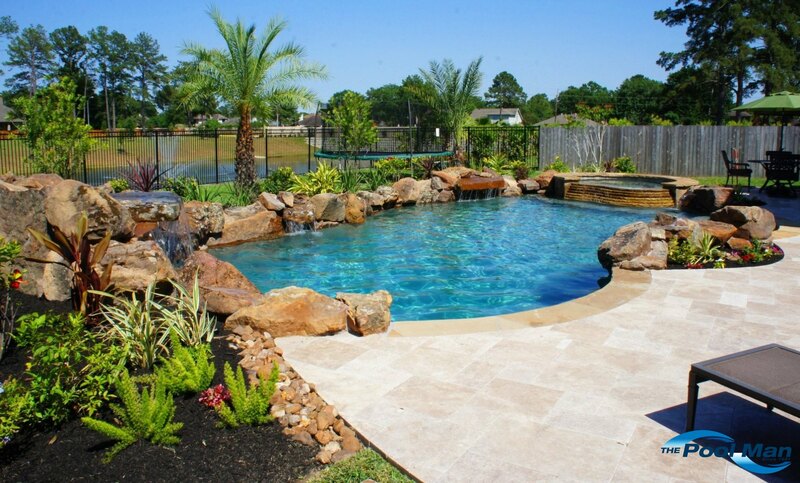 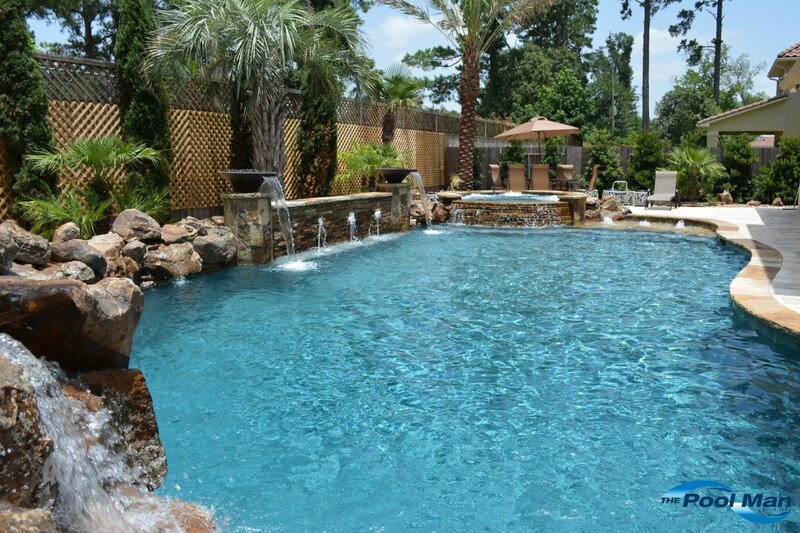 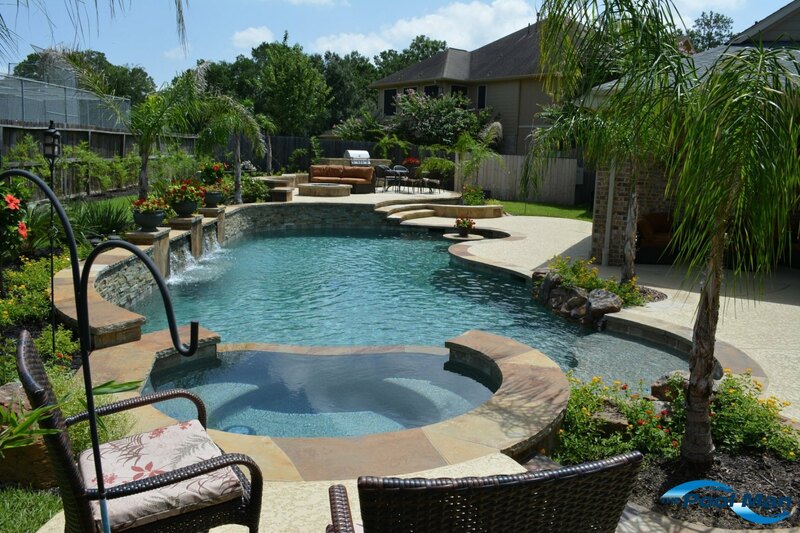 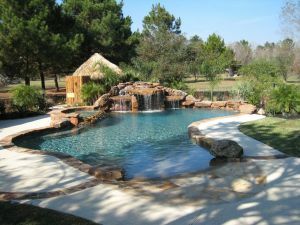 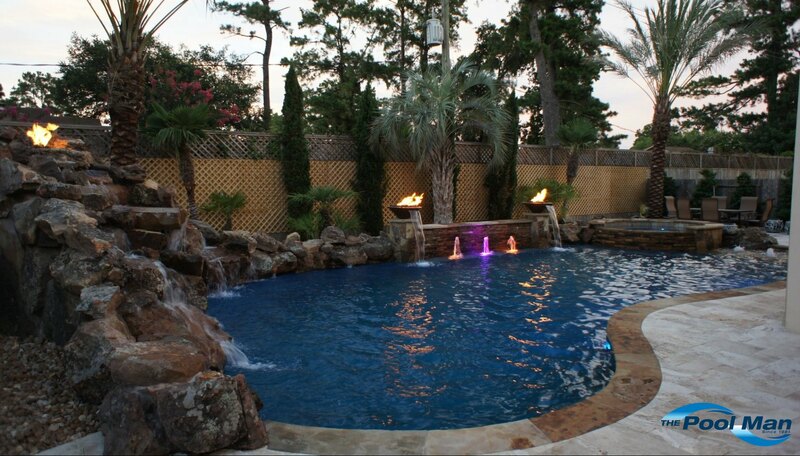 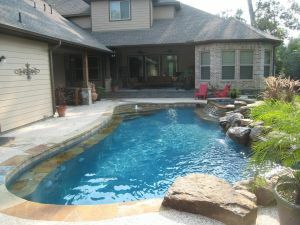 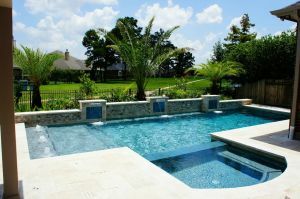 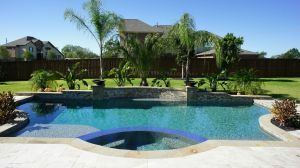 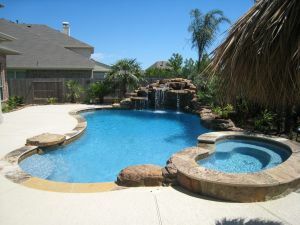 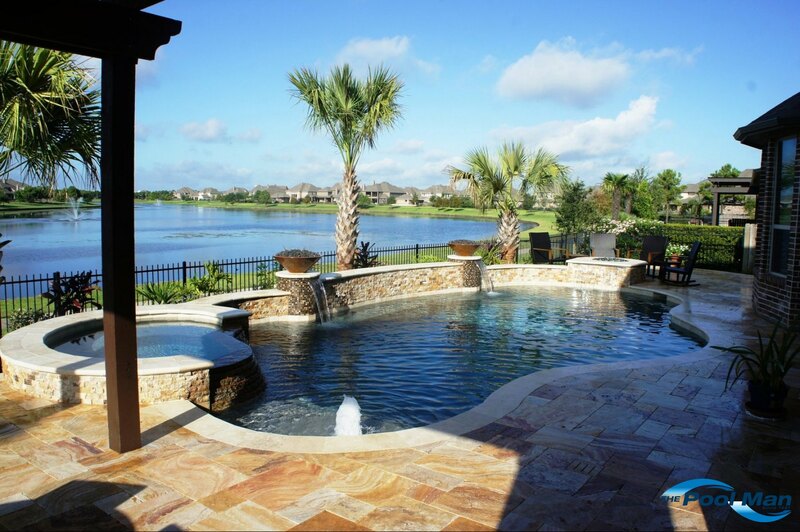 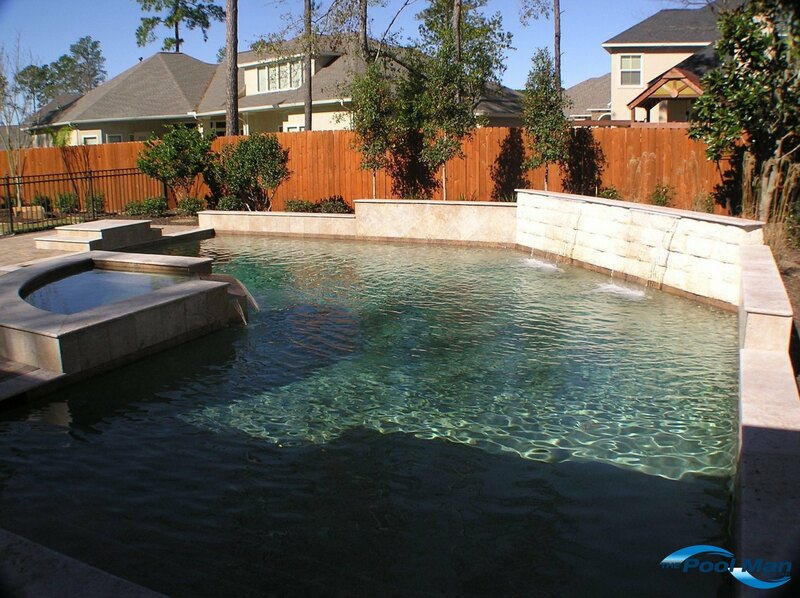 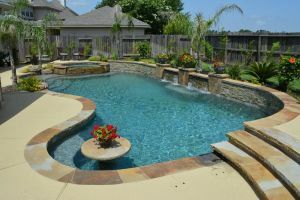 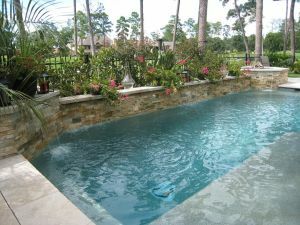 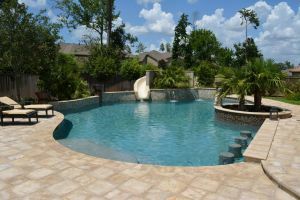 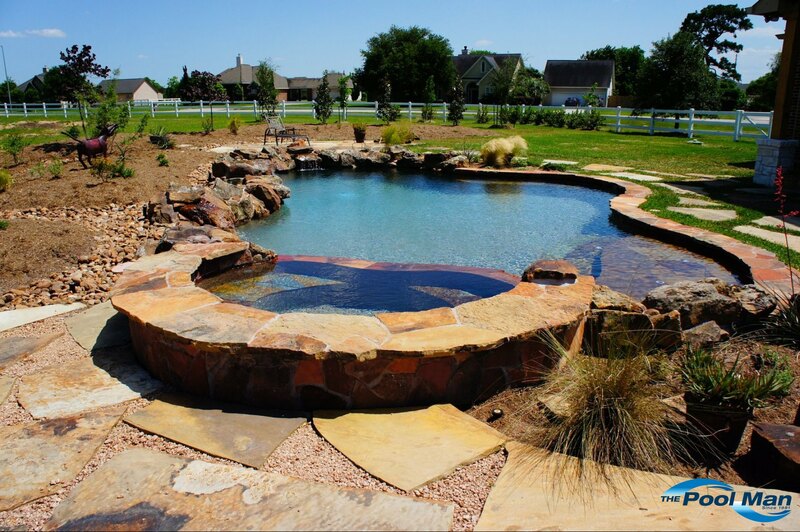 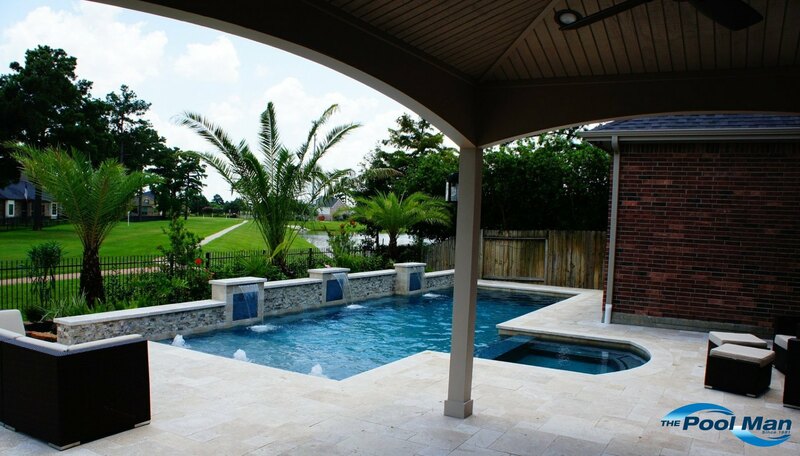 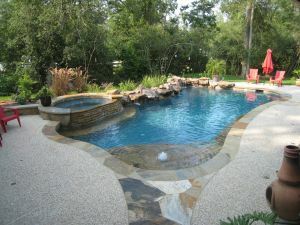 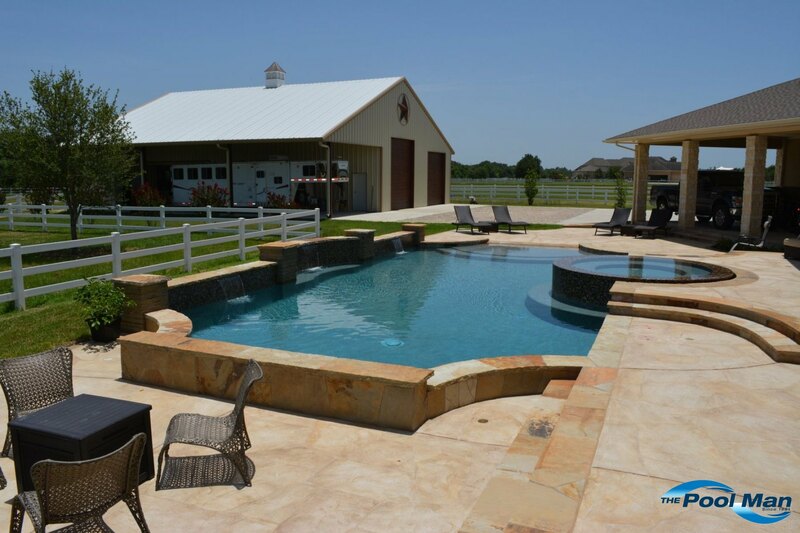 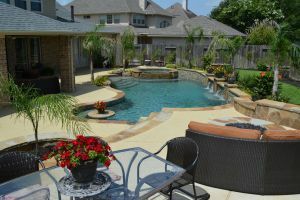 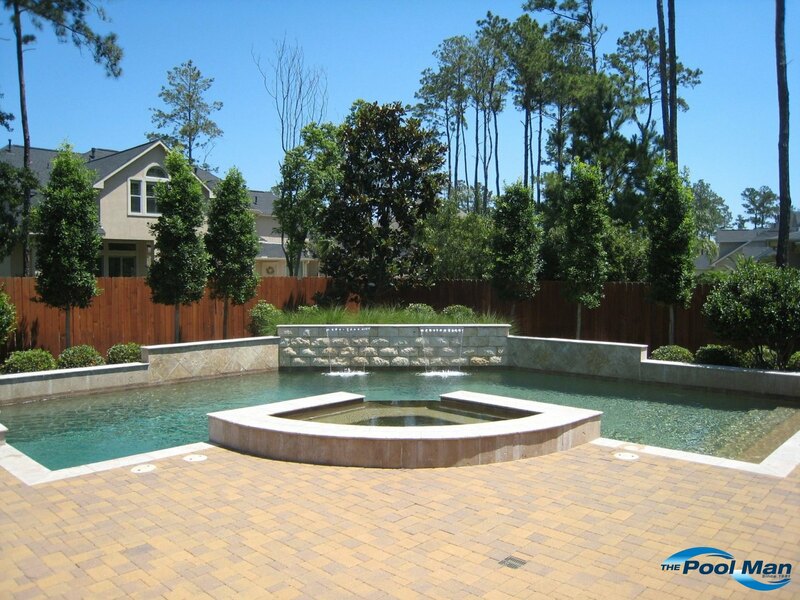 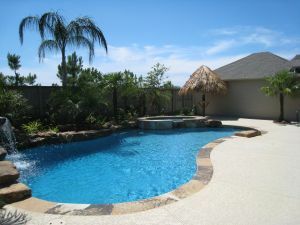 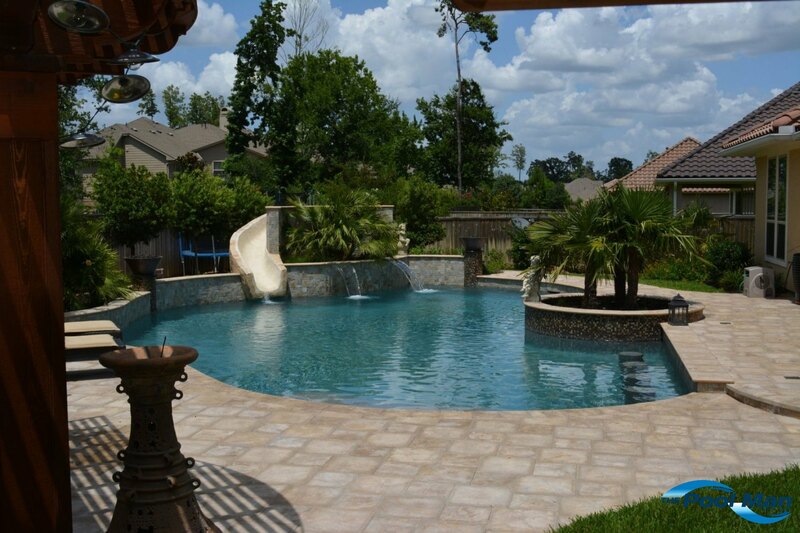 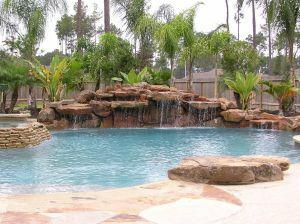 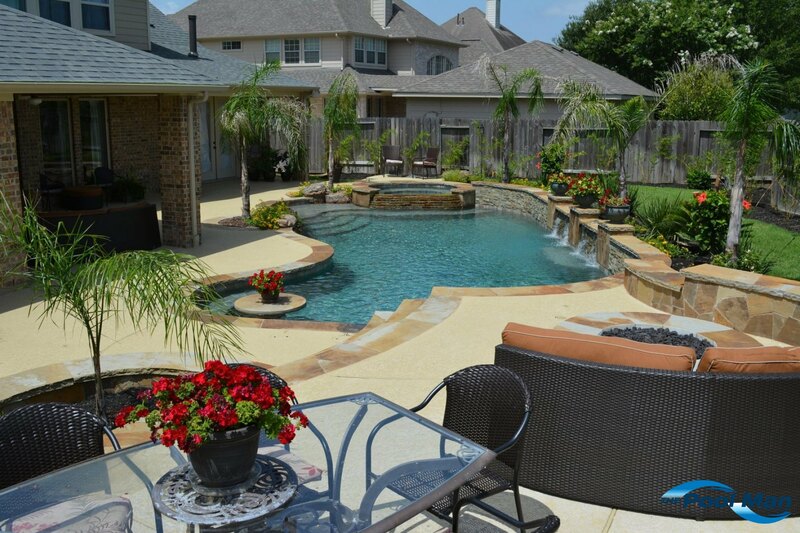 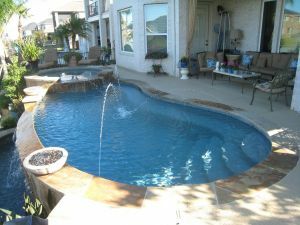 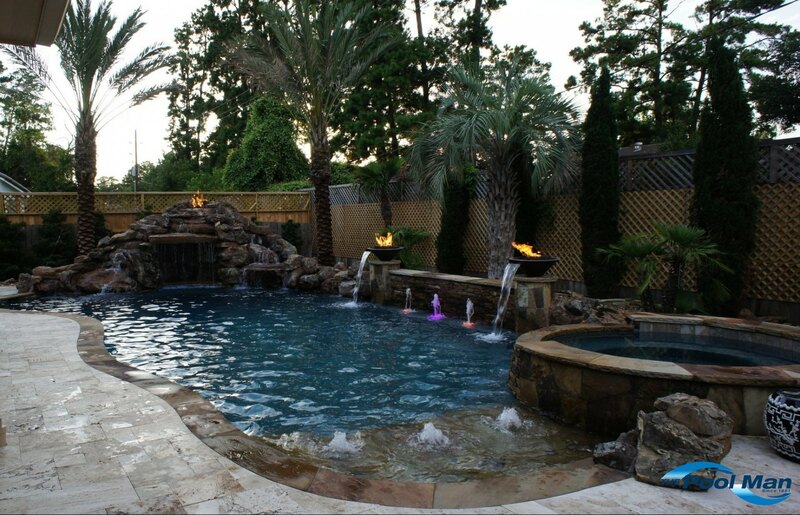 For a one-on-one consultation for your Swimming Pool project, please call our office at (281) 351-2577.